If you have a milight bridge you can command the milight bulbs with UDP commands. The more recent bridges have a web interface with which you can configure the device. There is also a windows tool which does more or less the same. 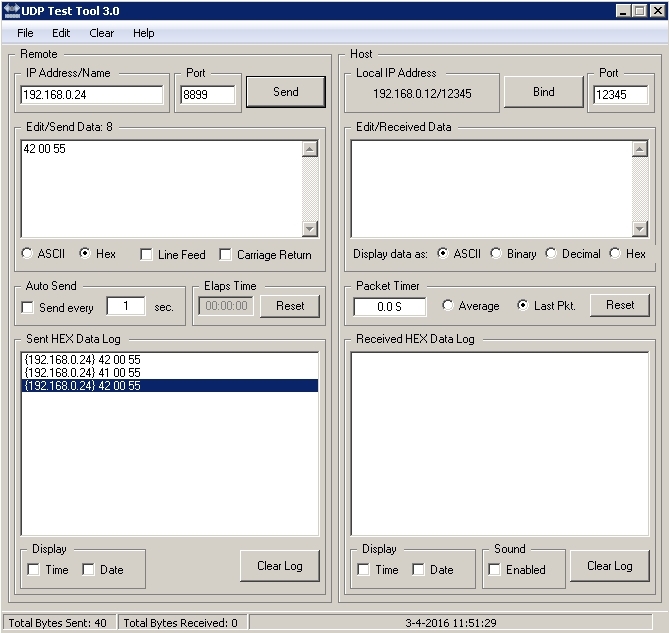 You can test the UDP functionality with the freeware tool of which the link is below. 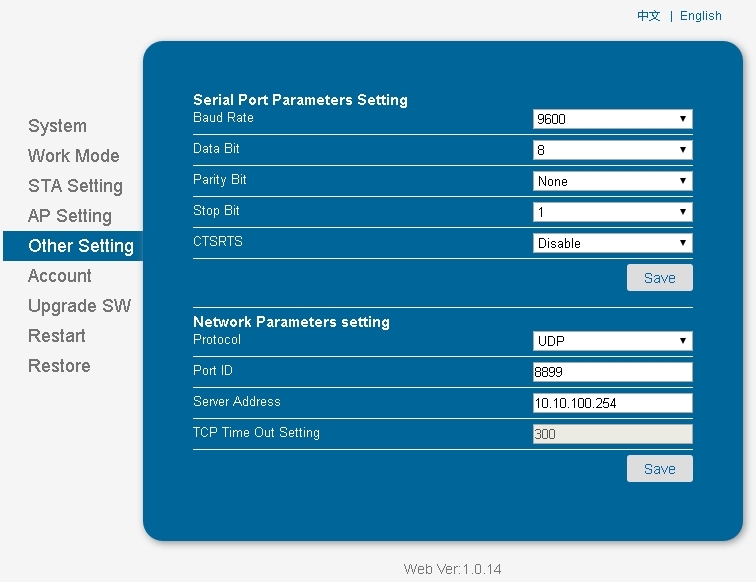 The testtool needs to be configured by setting the port and IP address as below. The UDP commands are allways 3 bytes and for the milight bulb RGBWW which i have it responds as follows. Night modes, not implemented for RGBW, but referenced here for completeness.. So those are the commands so now how to use them. I used the PHP software developed by Yashar Rashedi which you can find here. There is also a local link here. This also contains the code for operating the ha bridge. I also wrote a small piece of PHP code which operates the different functionality which you can see below. You can set the colour, brightness, nightmode etc using this interface and i have used this to control the milight bulbs using the ha bridge. With the above you can make amazon echo commands such as.